The first step is understanding the research question or topic that has been assigned to you. You should make a preliminary background research on the topic or matter you are going to write upon so that you are in control of things. By doing the background research you will be able to know about the depth and extent of the matter and it will help you in forming a personal opinion on that matter. Having a personal opinion is important in a rhetorical essay, as all that matters is your opinion, which is ultimately going to be reflected in your essay. After you have done all the research, you need to make an outline on the actual rhetorical essay, which you are about to make. By making an outline, you would be able to visualize the actual layout of your essay like introduction, body, conclusion, etc. It will also help you in making notes of some key points for the supporting evidence, which you might need to refer in your essay. After you have made the outline as mentioned above, you can now proceed with the main essay. It should start with an Introduction as in all normal essays. The first few lines of your introduction should be balanced and well-knitted so that the audience gets hooked to your essay in the beginning itself. The more intriguing matter you present in the opening paragraphs of the introduction, the more attention you will get from your readers/audience. The introduction should be self-explanatory, i.e., the readers or the audience should be able to understand the main theme and background of the essay by reading the introduction alone. This will make the task of explaining the audience with the theme of the essay further easier for you. After you have made a brief background and preliminary information in the introduction part, you now need to develop the main body of the essay. You can use any kind of writing style here but it should be lucid for the reader/audience. You can use narrative, comparative, argumentative, analytical or advantage/disadvantage style of writing to present your rhetorical essay. To make your essay look good, you should try to use as much factual evidence as possible as these evidences are the ones, which will make your work stand apart from others. You should be using both descriptive and expressive language so that your rhetoric is being conveyed to the audience/readers. The more passionate and intriguing your writing is, the more interest your readers will show in your essay. 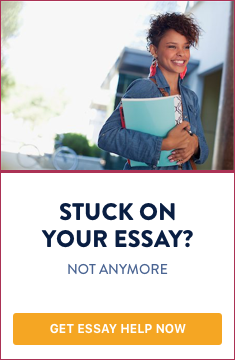 Your essay body should reflect the thesis statement, which you have chosen to present, as the essay should and must revolve around the thesis/research question. Your stand should be backed up by factual evidences and deductive reasoning. People should know why you are arguing for something and why your rhetoric is inclined towards a particular person, object, thing, place or topic. After you have finished writing all your thoughts, you now need to end your essay with a good conclusion in the final paragraph of the essay. Your conclusion should provide a brief reference to your thesis/research question and highlight the key points of your rhetorical objective along with the main issues raised in the body. The conclusion should try to justify the rhetorical objective and thesis statement and should be able to persuade the audience/reader in believing what you want them to believe in, even if it might not be totally factual or real in scope or origin. By following the above points, you will be able to write a good rhetorical essay on any given topic/matter. If you need help with writing a rhetorical essay feel free to contact below.